How Long Did It Take for Noah to Build the Ark? And the Lord said, "My Spirit shall not strive with man forever, for he is indeed flesh; yet his days shall be one hundred and twenty years." However, these 120 years are a countdown to the Flood.1 In other words, mankind’s violence had reached its peak and God declared that 120 years was the “drop dead” date for mankind who is a mortal being ( Genesis 6:3–7 ). From a quick look, these 120 years would seem to be the absolute maximum for the time given to build the Ark, but the Scriptures reveal much more allowing us to be more accurate. For example, Noah was 500 years old when Japheth, the first of his sons, was born ( Genesis 5:32 ). Yet Noah’s second son, Shem, had his first son two years after the Flood, when he was 100 ( Genesis 11:10 ).2 This means that Shem was 98 years old when the Flood came, and it also means that Shem was born when Noah was 502 years old. So for Noah to begin having children at 500 means that Japheth was indeed the older brother, as per Genesis 10:21 , being born when Noah was 500. Ham is mentioned as the youngest of Noah ( Genesis 9:24 ). When God finally gave Noah instructions to build the Ark, it was not at the beginning of the 120 year countdown. God told Noah that he, his wife, and his three sons and their wives ( Genesis 6:14–18 )3 would go aboard the Ark at this same time. Deducing that Shem was born 98 years before the Flood, it could be no more than this. But even more so, Ham hadn’t been born yet! 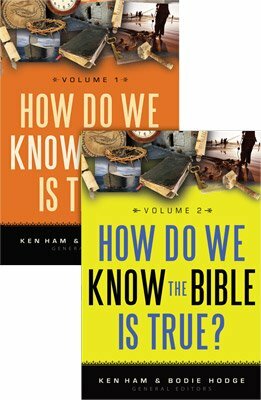 If we were to assume the same time between Ham and Shem as between Japheth and Shem, then Ham could have been born around 96 years before the Flood. Although the Bible is silent on the exact timing, it is reasonable to assume that some time elapsed for the three sons to grow up and find a wife. I would be most comfortable giving a range of anywhere from 20 to 40 years making Ham no less than 16 at his marriage. We would end up with a tentative range of about 55 to 75 years for a reasonable maximum time to build the Ark. Of course, it could be less than this depending on the age that Noah’s sons took wives. Consider that the Ark was completed prior to loading the animals that the Lord brought to Noah ( Genesis 7:1–4 ) and that they had to take time to gather food and store it aboard the Ark ( Genesis 6:21 ). So carefully considering the text, we can conclude that the construction of the Ark did not involve the 120 years mentioned in Genesis 6:3 but 75 years at the most. Some have also described this as the longevity of mankind. For a number of generations after the Flood, people lived to be much older than this (e.g., Isaac lived to 180 years), so it is not referring to longevity. Shem is often listed first (e.g., Genesis 6:10, 7:13 ) due to importance much as Abraham is listed first; yet Shem was not the oldest. From the lineage of Shem and Abraham came Christ. Youngest is used in ESV, NAS, and other translations for the word qatan which means small, young, or insignificant.